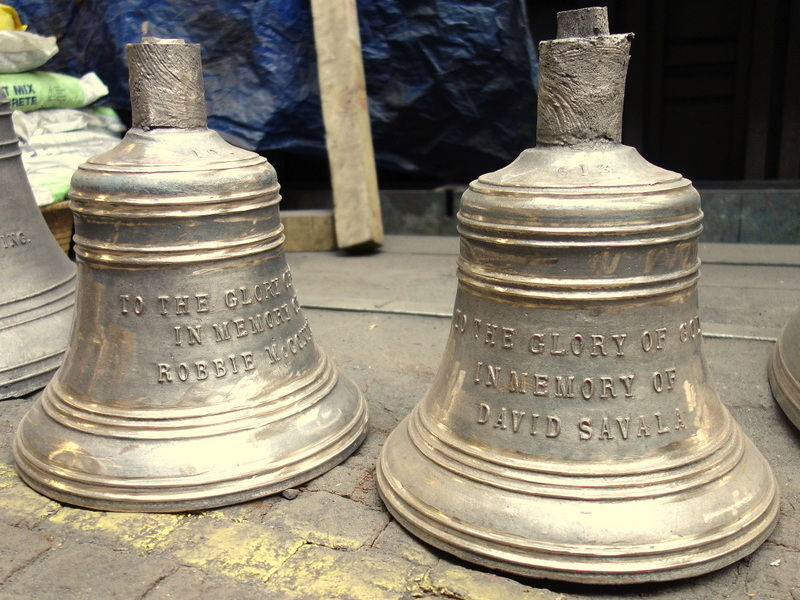 Having recently installed a chime of eight bells at this church, an order for a further four bells to augment the chime to eight has been received. 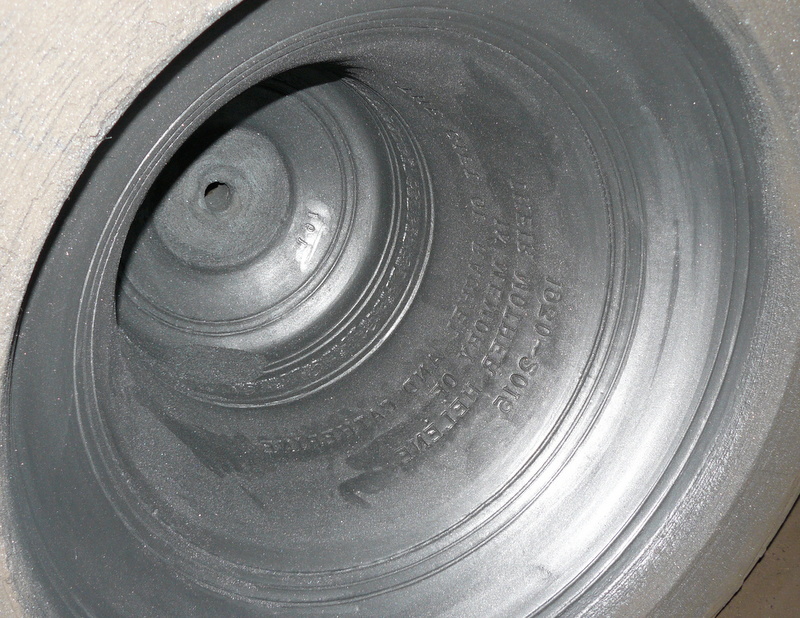 The new bells will be added and will be sounded by electro-magnetic hammers. The new bells ready for dispatch. 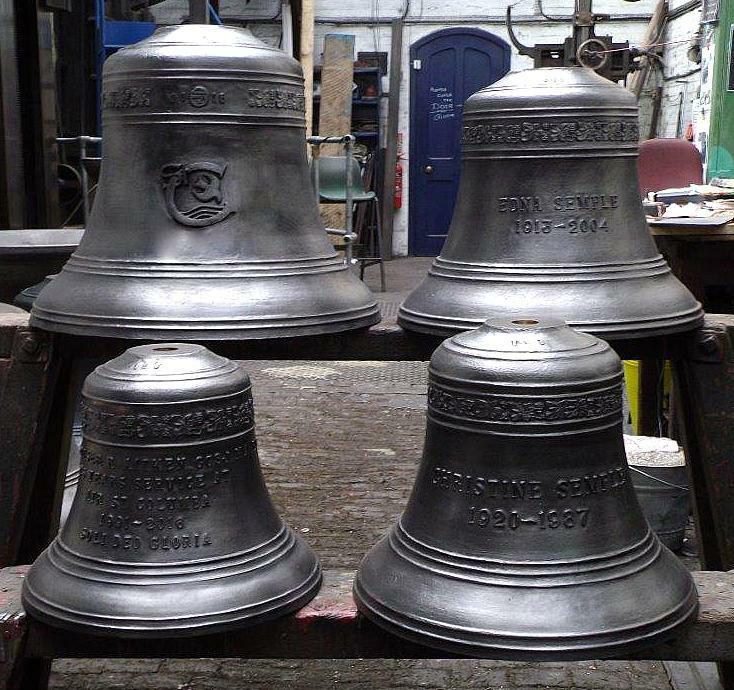 All four bells have been cast, tuned and installed.